A University of Saskatchewan research team has established a national consortium with the University of Toronto to produce synthetic antibodies for diagnosing and fighting cancer and other diseases. An antibody is a molecule that can bind to another molecule such as a cancer-associated protein. “There’s no cure for cancer and every cancer patient wants improved therapy. Our main goal is to use antibodies to treat cancer,” said Ron Geyer, U of S Associate Professor of Biochemistry. In addition to fighting cancer by targeting cancer-associated proteins, antibodies help with early diagnosis by guiding medical isotopes to tumours. Normally, the human body produces antibodies to fight off disease. They identify harmful cells as foreign and capture them so they can be removed by the immune system. “The problem with cancer is those cells are from us, so our bodies don’t recognize them as foreign and we are incapable of producing antibodies against ourselves,” Geyer said. Over the past decade, antibodies have become the major breakthrough for cancer treatment. Geyer has established the Saskatchewan Therapeutic Antibody Resource (STAR), a research group of a dozen scientists that will develop synthetic antibodies. STAR is seeking funding to open a dedicated laboratory centre for large-scale operations. Geyer is using cutting-edge technology to produce antibodies that are more specific, and cheaper and faster to generate than with the conventional method. Unlike traditional methods of antibody production, synthetic antibodies are developed in a test tube rather than in the immune system of an animal. STAR is part of a new consortium established with the Toronto Recombinant Antibody Centre at U of T. The consortium members will pool their expertise to produce more and better antibodies. There is a need for new antibodies because they are not available for every target. There are only about a dozen antibodies approved for therapy. The market for antibody therapeutics is estimated at more than $26 billion annually worldwide. The consortium will enable rapid commercialization and develop a network for producing sufficient quantities of therapeutic and diagnostic grade antibodies. 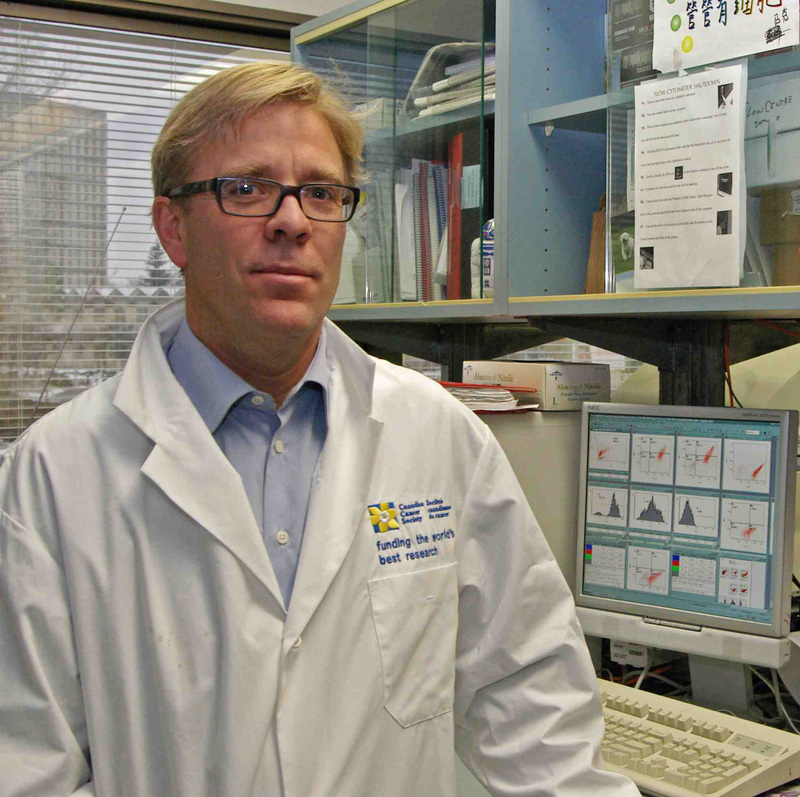 STAR will generate antibodies for researchers in Western Canada. “We would provide high-quality human antibodies that recognize human proteins important in diagnosing, monitoring, and treating diseases,” Geyer said. Wanpeng, S., Geyer, C.R. & Yang, J. (2008) Cloning, Expression, Purification and Crystallization of the PR Domain of Human Retinoblastoma Protein-Binding Zinc Finger Protein 1 (RIZ1). Int. J. Mol. Sci. 9, 943-950. Jiang, G., Freywald, T., Webster, J., Kozan, D., Geyer, C.R., DeCoteau, J.F. & Freywald, A. (2008) In Human Leukaemia Cell Lines Ephrin-B-Mediated Repulsion is Associated with Re-Assembling of Lipid Raft Signaling Complexes and Requires Lck Kinase Activity. Molecular Cancer Res. 6, 291-305. Lakshmikuttyamma, A., Pastural, E., Takahashi, N., Sawada, K., Sheridan, D.P., DeCoteau, J.F. & Geyer, C.R. (2008) BCR-ABL Induces Autocrine IGF-1 Signaling. Oncogene. 27, 3831-3844.